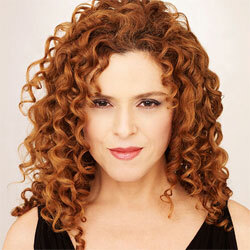 Bernadette Peters (born 28 February 1948 in Ozone Park, New York City, NY), is an American actress and singer. She starred in the movies Silent Movie, The Jerk, and Pennies from Heaven, and is known for her appearances on TV's The Muppet Show, and theater productions Mack & Mable, Into the Woods, and Annie Get Your Gun. Peters was cast for the Fall 2016 campaign for Kate Spade along with fellow actress Zosia Mamet and dancers Justin Peck and Xin Ying.